Why not make your receipts and tickets work harder for you? 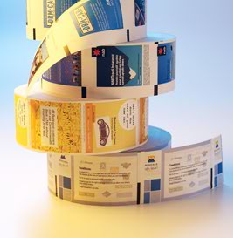 Receipts and tickets are the perfect way to promote your products and services and at Dataroll we have the expertise to manage your integrated advertising campaigns from concept through to production. Whether you’re looking at promoting your own products or want to turn your roll medium into a revenue generator with third party advertising, we can help. Contact us to find out how back of roll printing can work for you.